Let’s face it…. training legs is really tough. Yet in most sports, leg strength is crucial for superior performance so there’s just no way around it. We as athletes have to do it. Fortunately, there is now a simple, scientifically proven way for you to get much faster results from your current leg training. In 2013, a double-blind study was conducted at the Univ of Tampa on a new patented form of oral ATP (adenosine triphosphate). During the study, all participants were put through a weight training regimen that involved intense leg training. Half of the participants took the oral ATP and the other half took a placebo pill. 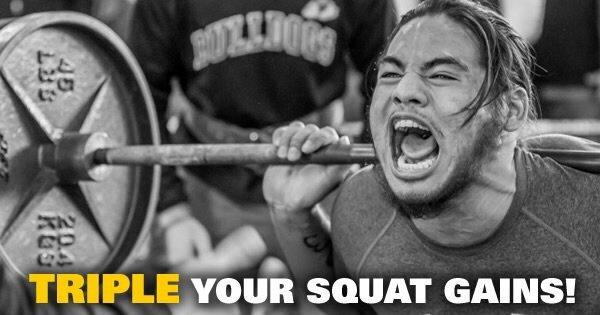 1 Rep Max Squat strength was measured at the beginning and end of the study, and the results were staggering! Placebo group increased 1 Rep Max Squat by 13.42 lbs on average. Oral ATP group increased 1 Rep Max Squat by 42.24 lbs on average. Oral ATP group increased their 1 Rep Max Squat by 315% over the placebo group (trainng alone). Keep in mind, all participants in the study were previously weight trained athletes (not just a bunch of couch potatoes), all went through the exact same training regimen, and all were required to maintain the same diet during the course of the 12 week study. Oral ATP group increased their 1 Rep Max Deadlift by 238% over the placebo group. Oral ATP group increased their 1 Rep Max Bench by 171% over the placebo group. Oral ATP group increased their Lean Muscle by 200% over the placebo group. Vasodilation is an expansion or opening of blood vessels that results in increased blood flow, increased oxygen and nutrient delivery to the muscles (increased energy production), and more efficient removal of lactic acid (reduced rate of fatigue). From an athlete’s perspective, vasodilation will result in increased endurance, increased training capacity, better muscle pumps (for bodybuilders), and improved recovery as soon as you start on the product. is a concept used to describe increased muscle fiber recruitment and improved muscle fiber contraction. 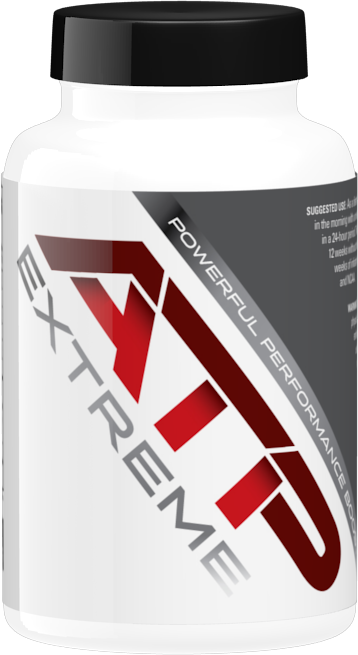 Any time you recruit more muscle fibers and have faster, more intense muscle contractions, you will be stronger and more powerful.Increased Muscle Fiber Excitability is what we believe is responsible for the faster strength and muscle building gains realized by athletes using ATP Extreme. These two benefits combined allow athletes to train harder and longer and get much faster results from their training. To our knowledge, there is no other safe, legal supplement available today that can offer substantiated results like these when it comes to strength and muscle building. HOW DOES THIS RELATE TO ATP EXTREME? The patented form of Oral ATP used in the study referenced above is the same form of Oral ATP found in ATP Extreme at the exact same dosage used in the study. 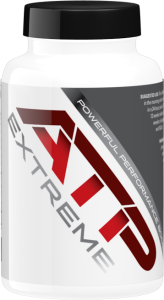 So if you are looking to get MUCH FASTER gains from your training, you need to get on ATP Extreme ASAP!